Zoom took the groundbreaking design of its G3 pedal and dialed it up a notch with the G5 Guitar Effects and Amp Simulator Pedal. The G5 combines the ease of a stompbox pedalboard and the power of a multi-effects pedal and USB audio interface, along with an extra LCD display/footswitch interface, Tube Booster, 3D Z-pedal and additional amp models and effects. While extremely easy to use, the G5 gives you the ultimate in control over your guitar tones in stage and studio settings. Up to nine simultaneous stomps. 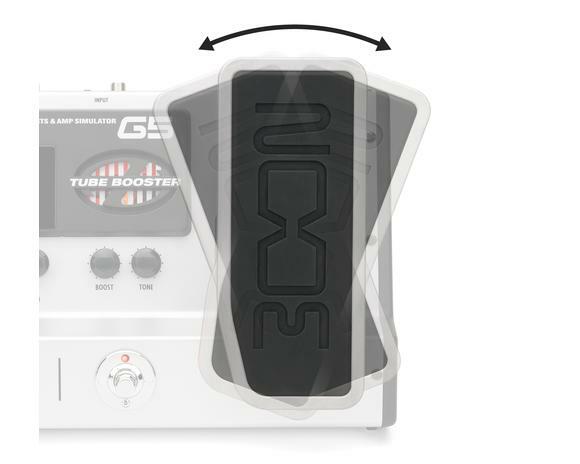 The G5 offers four large LCD displays and corresponding footswitches that form a graphical interface, allowing you to utilize up to nine stompbox and amp effects simultaneously. The interface has also been simplified with three control knobs for each display. This intuitive design makes creating, saving and rearranging the effect chain of your own sounds a breeze and provides easy navigation in live and studio settings. Tube Booster for amp overdrive. The G5’s Tube Booster (12AX7 tube) allows you to add sudden power and intensity to your performance, particularly when soloing. While its Boost control can add up to 16dB of amp overdrive, the Tone knob lets you control the EQ of your sounds with the added volume. 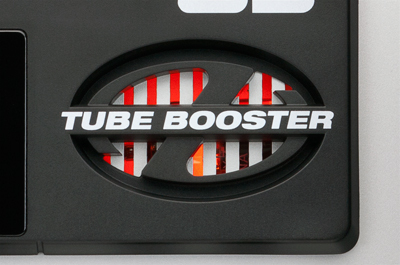 The Tube Booster also offers extra power when recording directly to a line input. Z-pedal offers 3D parameter control. The expression pedal featured on the G5 supports 3D action by sensing not only up and down, but also side to side movement. This Z-pedal lets you build highly complex sound control patterns by allowing you to assign up to three parameters in each axis of pedal movement (vertical and horizontal). 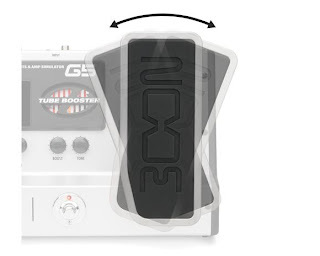 In addition, there are 20 effects specifically designed for use with the Z-pedal. Get creative in ways never imagined before, and explore a whole new realm of pedal performance. 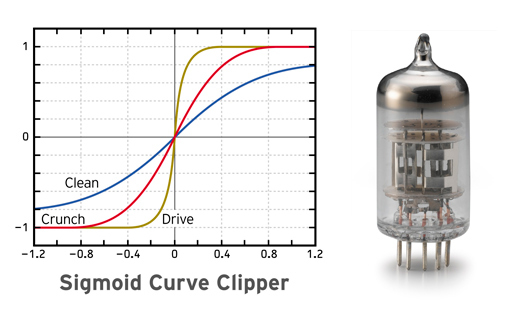 A newly developed sigmoid curve clipper re-creates the smooth clipping of a tube amp’s waveform. With its tube distortion, the G5 can simulate amplifier sounds, including clean, crunch and full-gain drive tones that are authentic to the original models while maintaining the nuances of picking and strumming techniques. The G5’s 22 super-real amp models range from vintage heads to the latest trends in amp technology, each with its own distinct cabinet modeling that can be used to alter its tone characteristics. By combining amplifiers and cabinets, you can digitally design your own custom rig. The G5’s modeling technology provides the best tone for both live performance and direct recording. The G5 offers 123 diverse types of stompbox effects, including some of the world’s most popular guitar pedals and rack-mounted processors. You can use up to nine effects in any combination. The G5’s wide range of effects includes distortion, compression, modulation, delay, and reverb. Its HD Reverb uses DSP power to produce a rich resonance that rivals outboard gear used in professional studios and live setups. The G5 can store up to 297 (99 banks x 3 patches) of your original creations without a hitch. 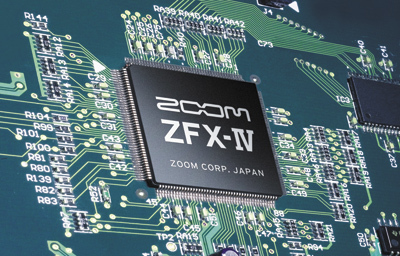 The all-new ZFX-IV DSP effects processor boasts amazing power and clarity, upgrading everything from sound to functionality and operability over previous ZFX versions. By using 32-bit floating-point processing, the G5 can produce amplifier sounds that are more realistic than ever before. Looper function with 60-second phrase recording/overdubbing. 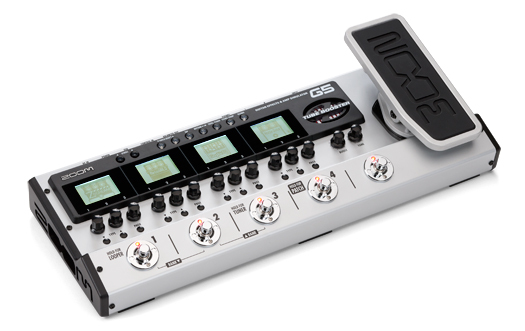 The G5’s Looper capabilities include 60 seconds of phrase recording and overdubbing. The “sound-on-sound” function allows you to layer guitar sounds as many times as you want in real time and use looped sounds as simple backing tracks. You can even create a “full band” feel with the built-in drum machine and DSP effects for a live solo. Note: When the UNDO/REDO function is enabled, the recording time is limited to 30 seconds. Every guitar player needs a drummer, and with the G5 you can choose from over 40 different rhythm patterns, including 4, 8 and 16-beat, shuffle and many others. The tap key also makes it easy to set tempo and start a one-man jam session anytime. The G5 operates as an audio interface, letting you record directly to your computer via USB. All of your sound settings used during rehearsals or live performances can be recorded to your favorite DAW such as the included Steinberg Cubase LE recording software. The pedal’s direct monitoring capability eliminates any latency issues, assuring realistic studio conditions and hassle-free operation. With its built-in XLR output, you can avoid DI boxes completely and directly connect the G5 to any mixing console and maintain a balanced, high quality signal. Its convenient Pre/Post switch can direct an effected sound to the main outputs while sending the original analog bass guitar signal directly to the XLR output without passing through an A/D converter. The pedal’s Tuner function offers smooth, real-time response with precise guitar tuning accuracy. Whether you’re in the middle of a performance or practicing alone in your room, simply hold down the pedal’s center footswitch to start getting your strings back in tune. In addition, the G5’s LCD displays and LED indicators make the Tuner easy to see on a dark stage, where you can also mute the output to tune silently. The G5’s super-low noise design virtually eliminates background noise and the ZNR noise reduction removes feedback and other unwanted sounds, providing you with clear tones, along with natural decay and reverb tails. With the G5’s amazing 1.6ms patch change speed, you will never miss a beat. Change from rhythm playing to a solo in an instant by simply tapping a switch. Connect an optional FP02 expression pedal to the G5 and control volume in real time. Use an optional FS01 footswitch to tap the tempo used for the drum machine, looper and effects. You can also use an FS01 to mute the Delay/Reverb input or turn Delay Hold on or off. Zoom’s Edit&Share software, which is available as a free download for the G5, allows you to create, edit and save your personalized amp and effect settings on your computer. Use its “radar charts” to access visual representations of each preset’s tone characteristics, amp/effect sorting feature to easily locate your sounds and drag-and-drop options to rearrange patches for editing purposes. With Edit&Share, you can download the latest patches online, as well as share your patches with others. 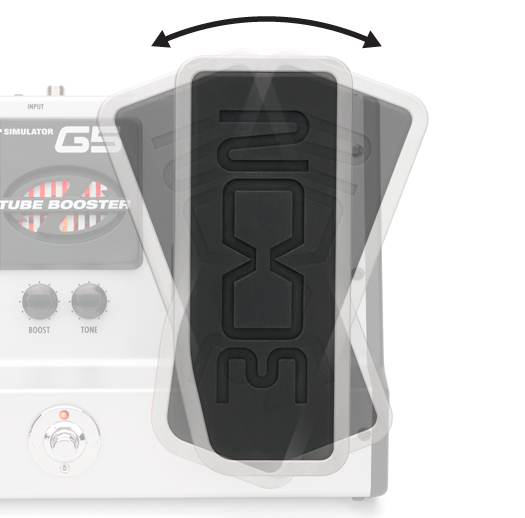 Finally, a monster guitar pedal that’s easy to use: The G5.